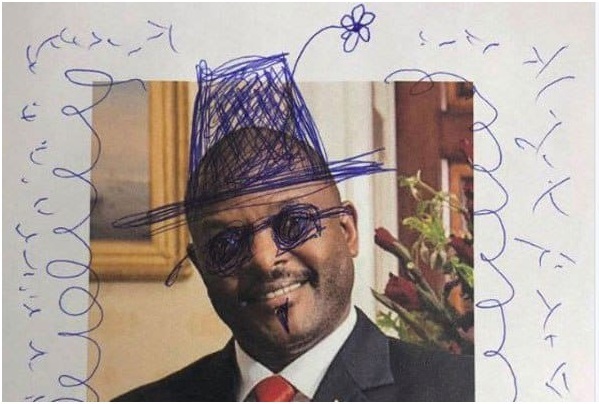 Tuesday, March 26, 2019 - Seven school children were rounded up and arrested for scribbling on the photo of Burundian President Pierre Nkurunziza in their textbooks. According to local reports, the school kids were arraigned in court on Monday and charged with insulting the Head of State. If found guilty of the offence, they might spend 5 years in jail. Here’s the photo that led to their arrest.